It’s hard to believe it’s our final week in Tokyo. 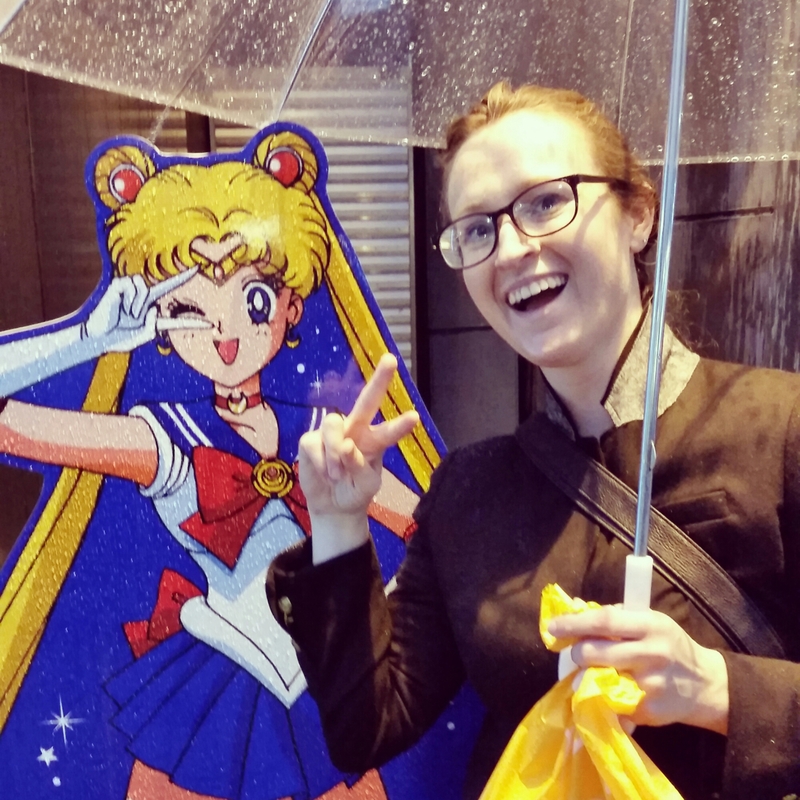 Yesterday we ventured to Harajuku, Tokyo’s mecca of kawaii culture. We actually saw fewer loli-girls than I’d expected, though that could have been due in part to the pouring rain we had for most of the day. Matt found two hoodies, and I found a cute skirt that will be a nice, usable souvenir of Tokyo fashion and – bonus – is long enough to wear to work. I also got some Totoro toys at KIDDY LAND, which I hope will help me go a LITTLE less crazy in the Ghibli gift shop on Friday. I found a really nice wallet at Fossil, and a life sized Sailor Moon! Unfortunately, yesterday I also picked up a cold, so I’m feeling stuffy and tired and I can’t stop sneezing. I’m glad we’ve already done so much, so I don’t feel as bad taking it a bit easier now. Maybe being sick will help me sleep on the flight home? So there could be a silver lining yet. It’ll probably be pretty quiet for the next couple of days, but I’ll be updating you with lots of pictures when we get home. So there’s that to look forward to!